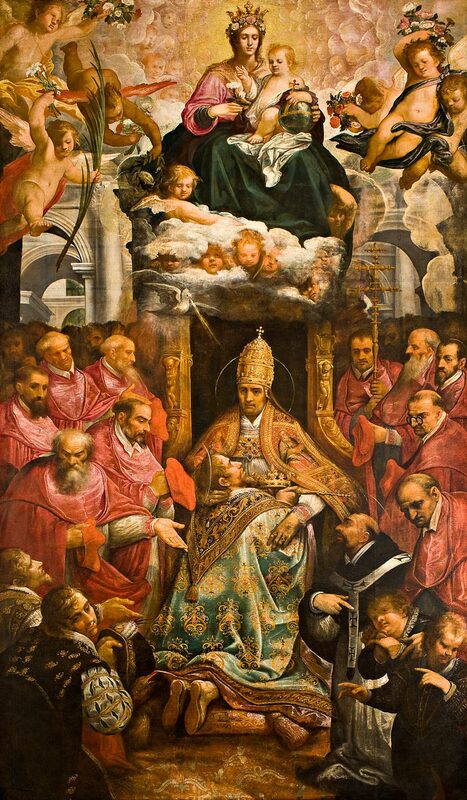 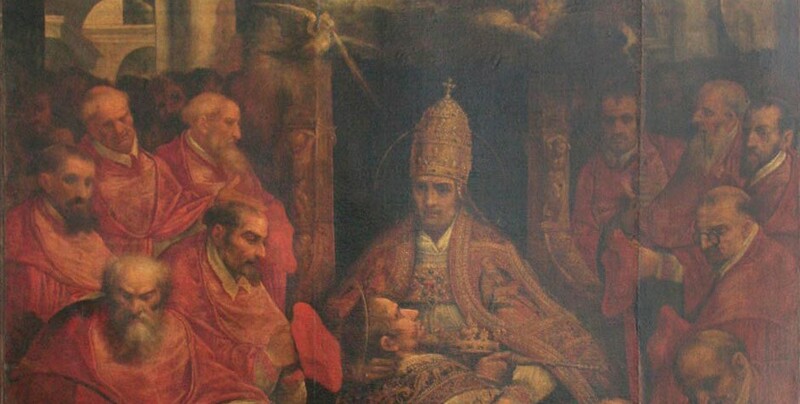 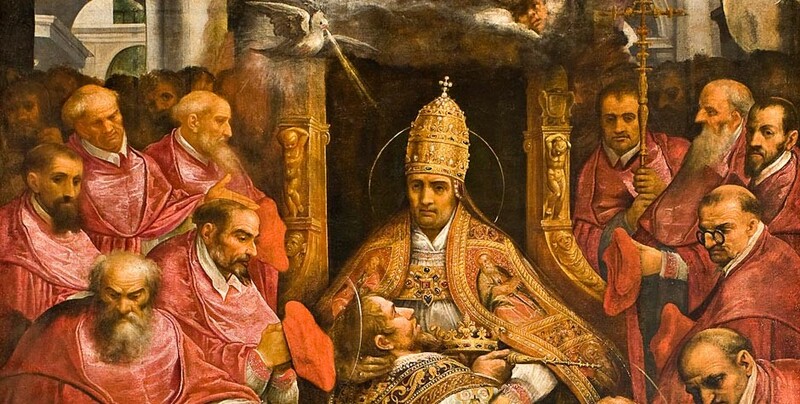 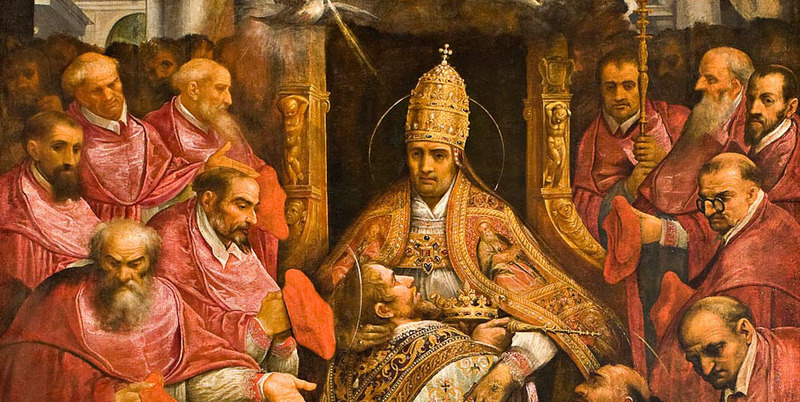 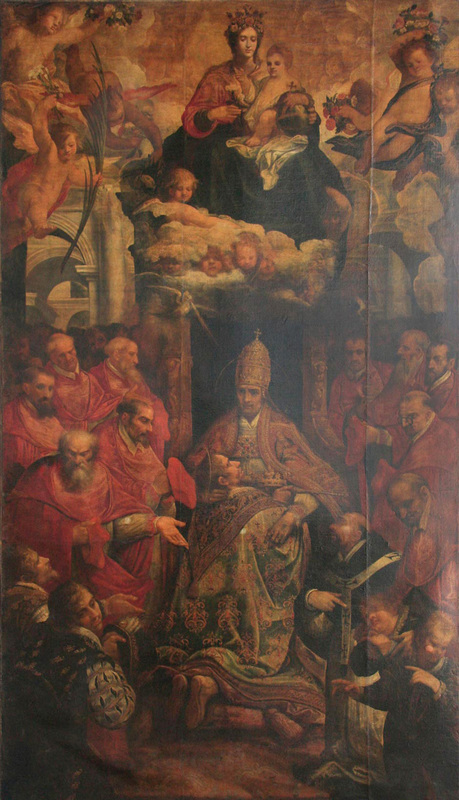 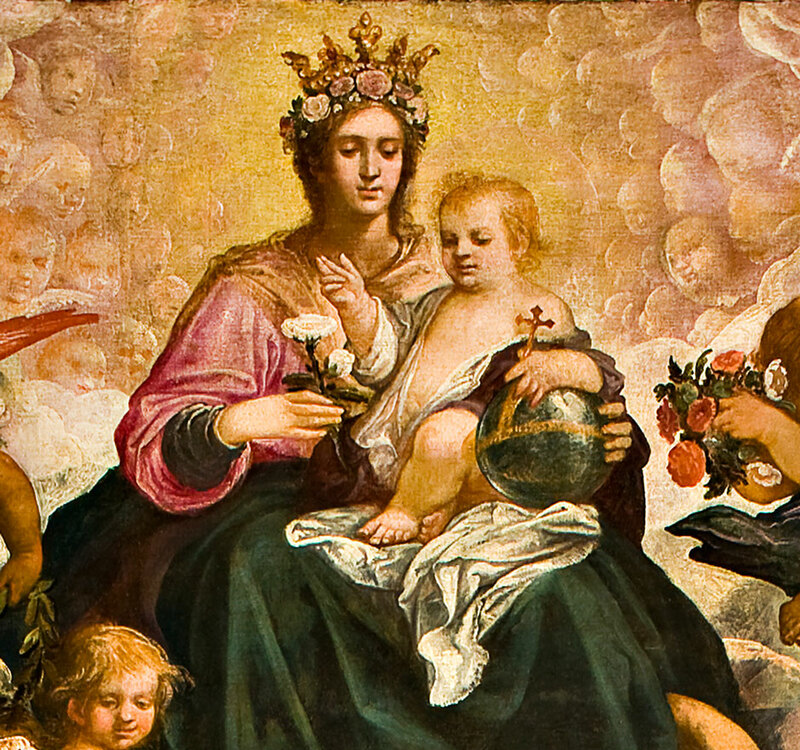 A large Baroque painting, in oil on canvas, 460cm x 260cm, of The Triumph of St Gregory, ca.1609, by Juan de las Roelas, Royal English College, Valladolid, Spain. 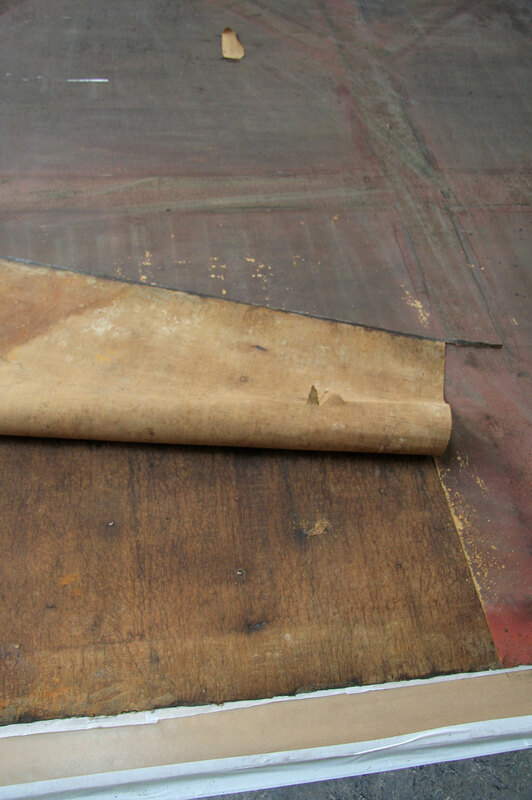 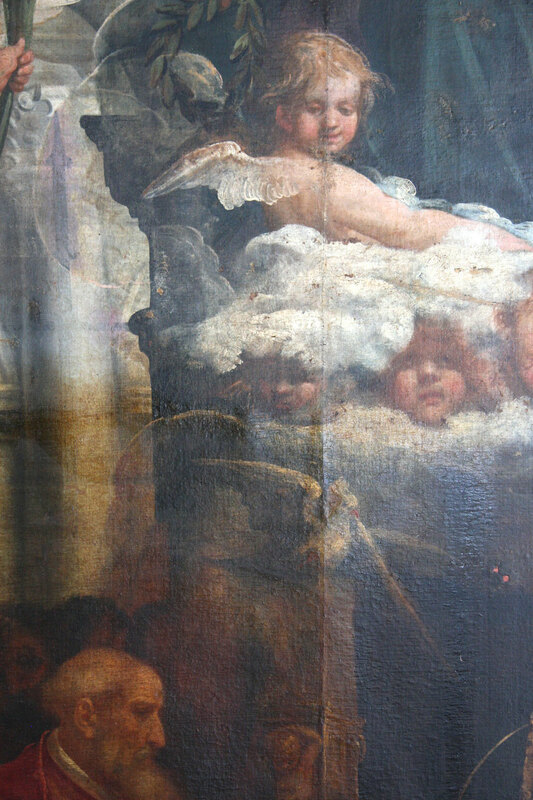 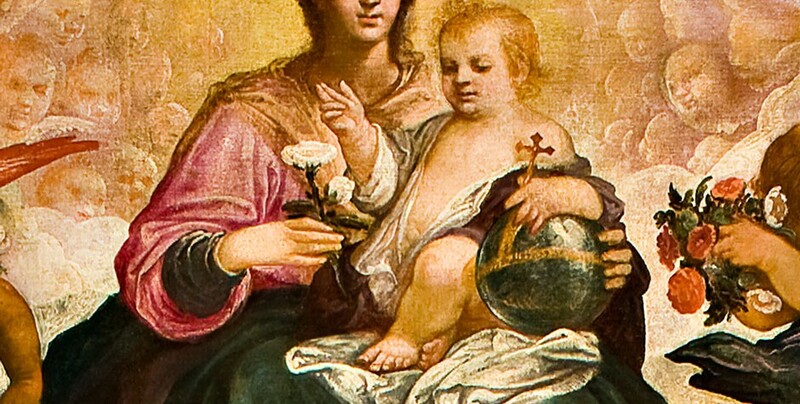 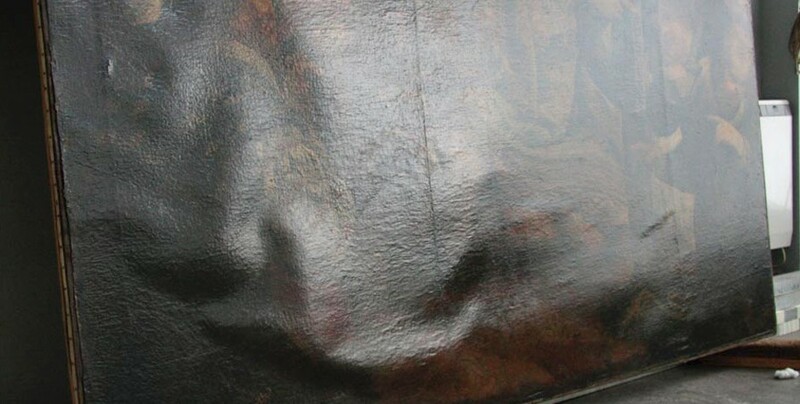 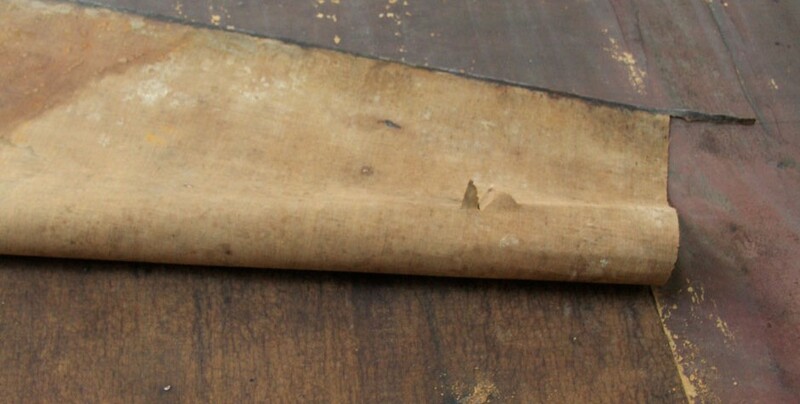 Conservation treatment involved surface-cleaning, removal of the old lining canvas, cleaning of the reverse, removal of old patches and repair of previously mended old tears, lining of the painting onto a new support canvas, removal of old varnish and overpaints, varnishing, and filling and retouching of damages to the paint layers. 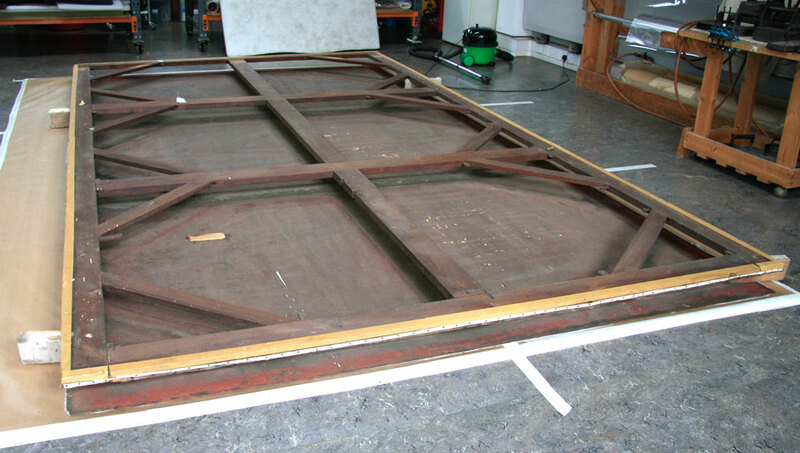 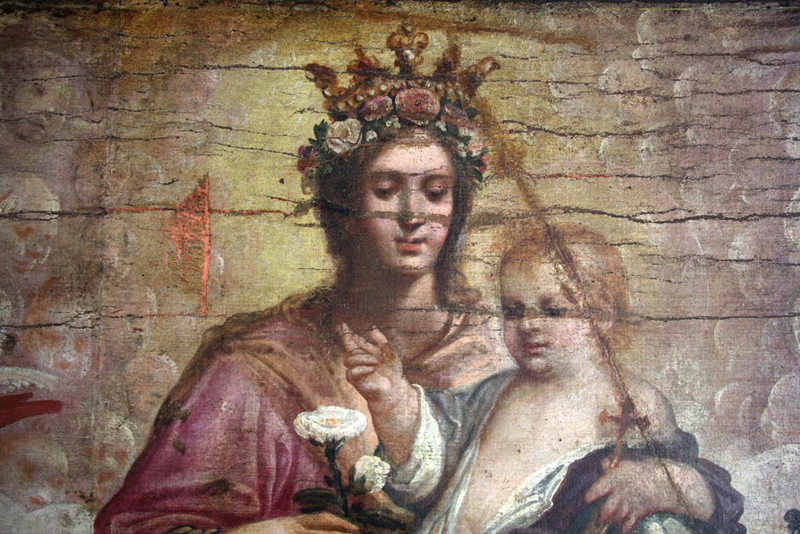 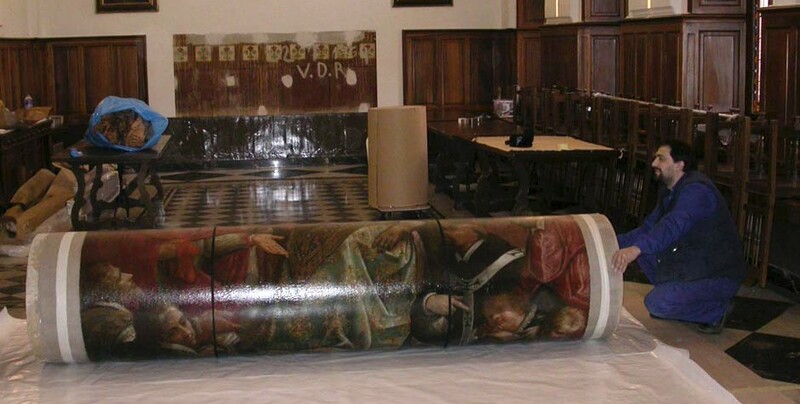 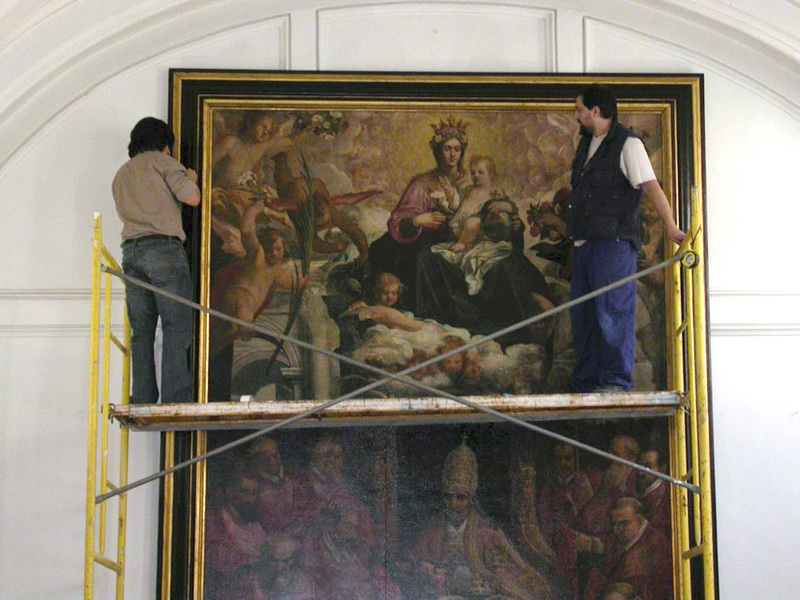 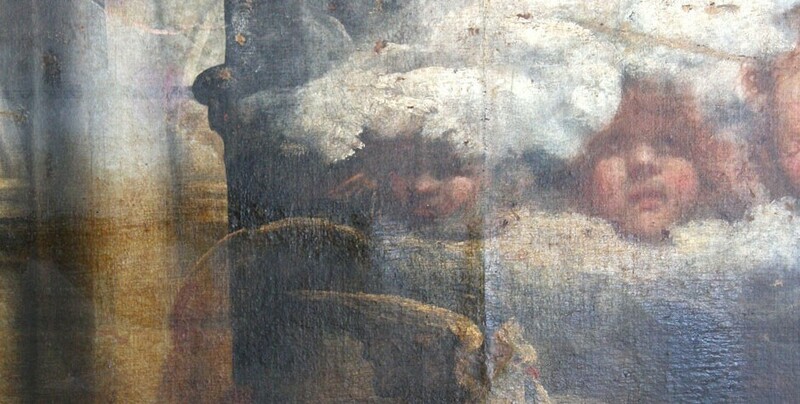 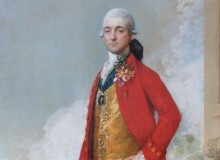 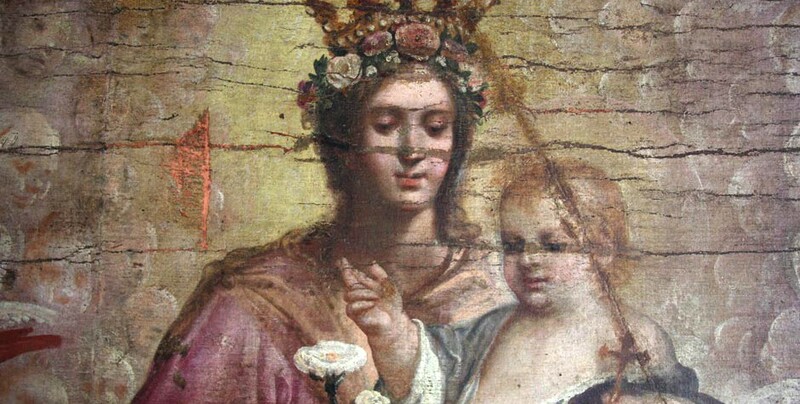 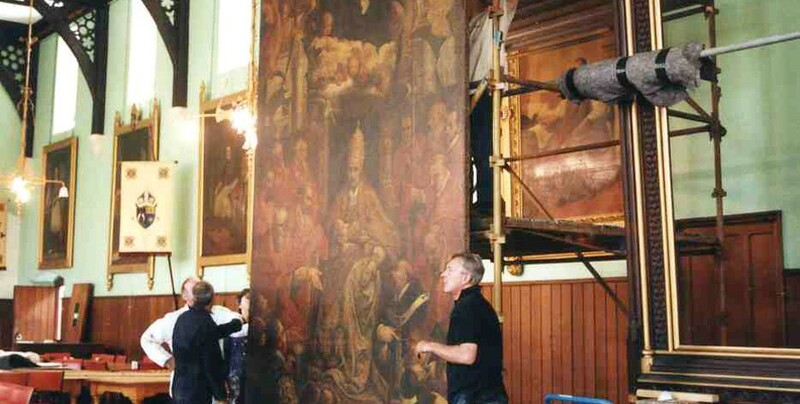 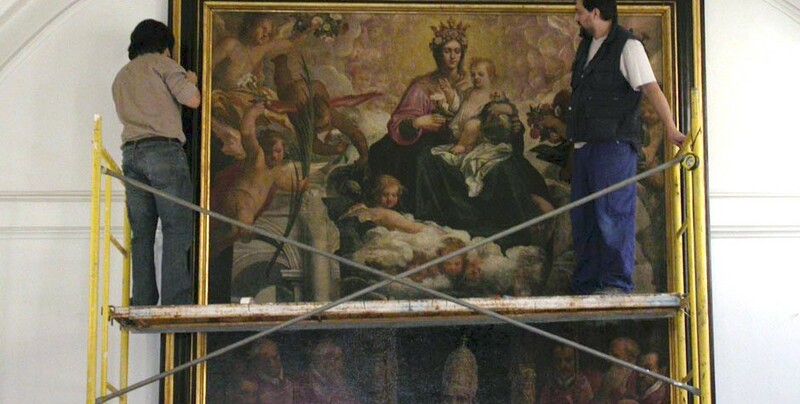 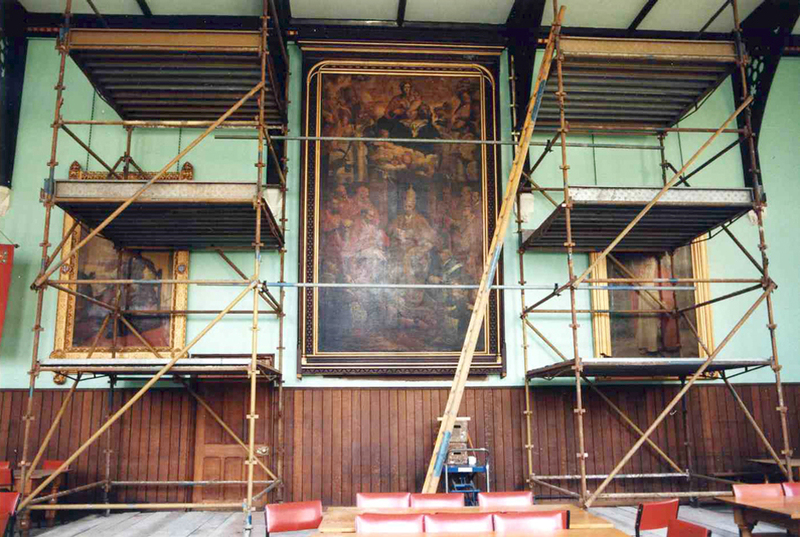 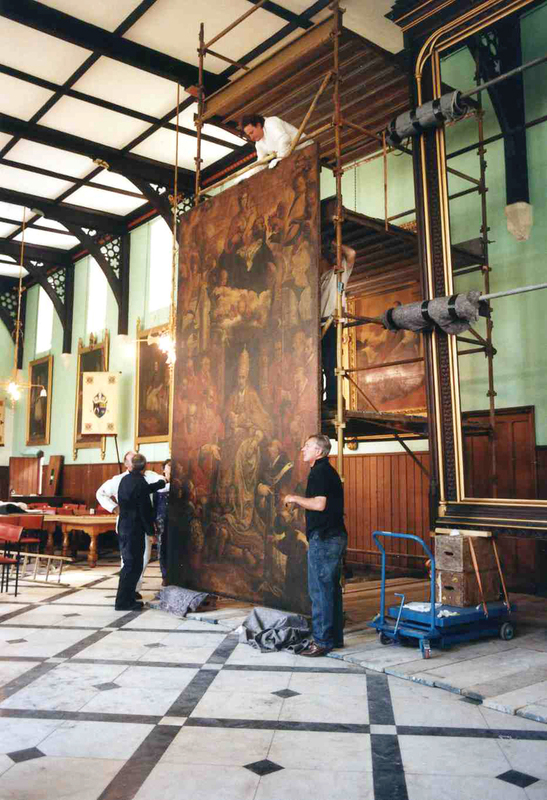 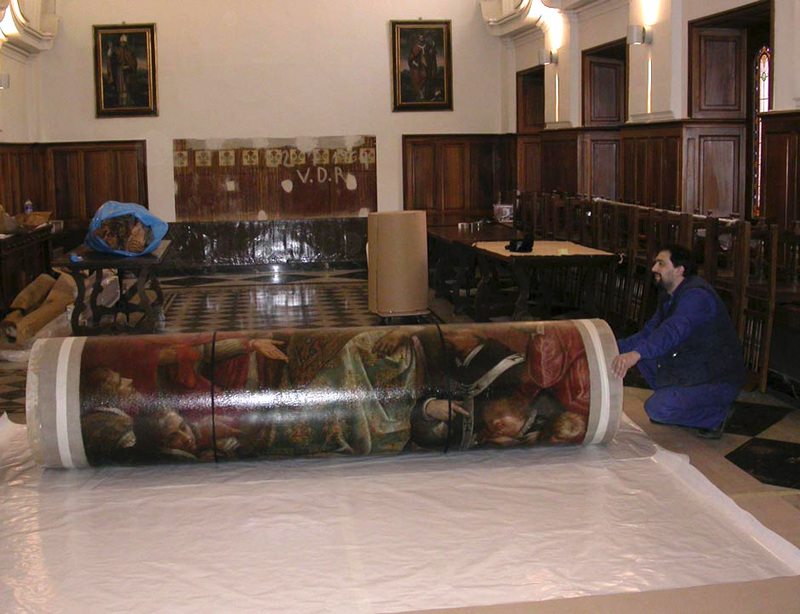 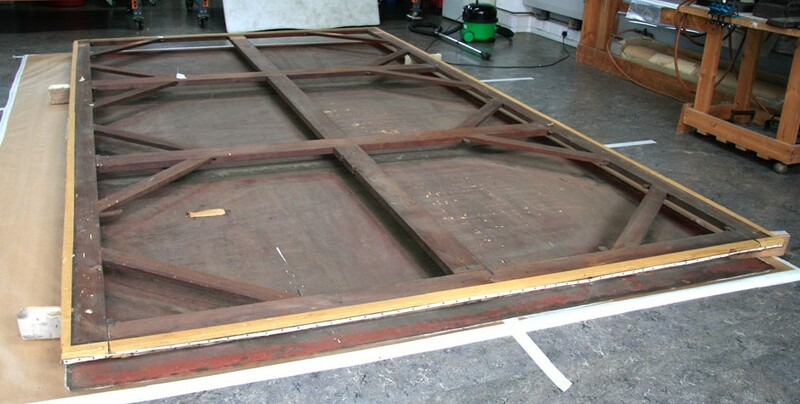 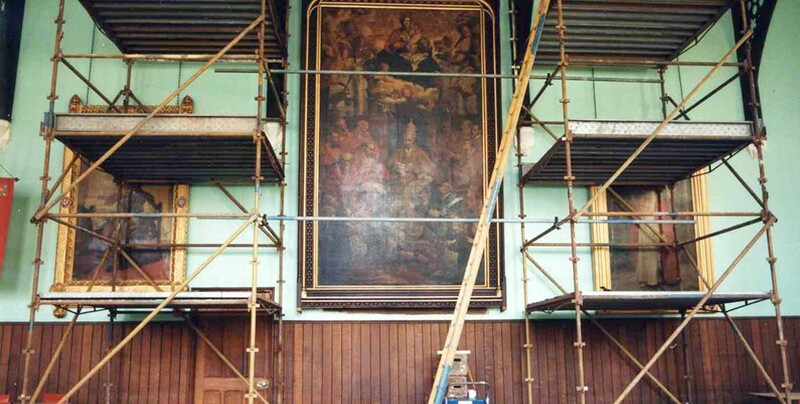 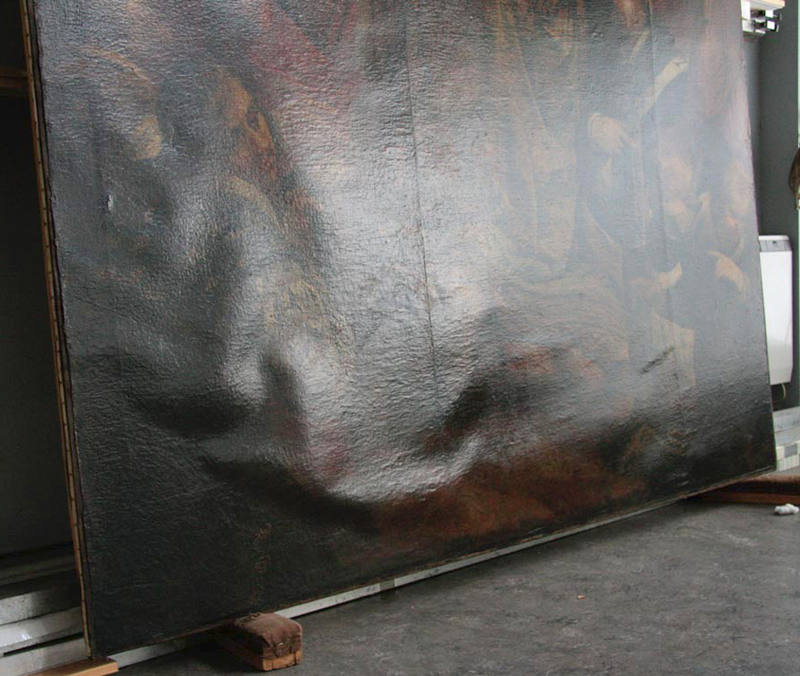 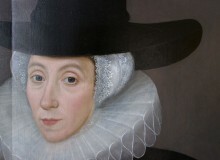 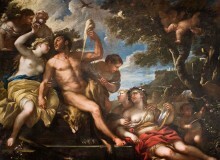 After restoration, the painting was rolled and transported to the college in Spain, where it was hung in the Refectory in a new frame specially commissioned for its redisplay.